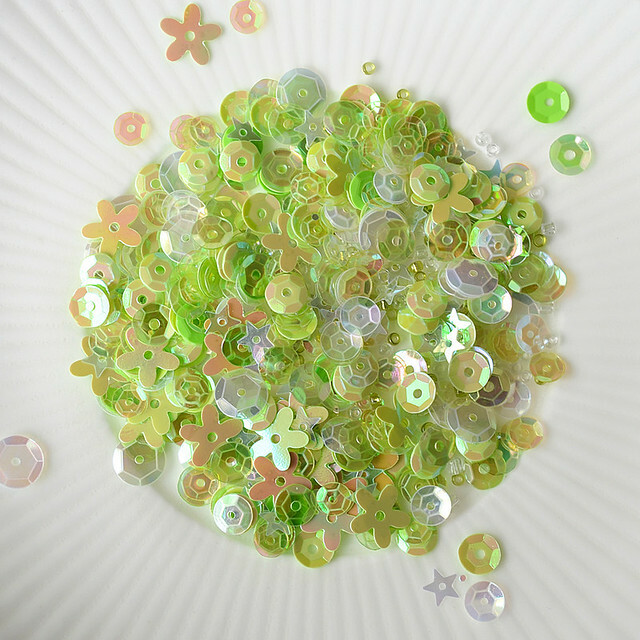 Today I have added four new colours of Sparkly Shaker Selection to my shop. Two citrus tones, and two limited edition, Lucy's Shop exclusive, Halloween selections. 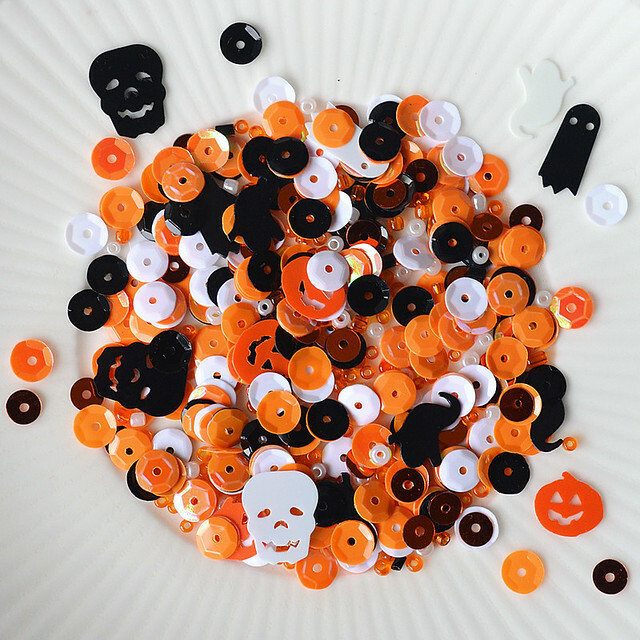 And next, my Halloween mixes. These two mixes will only be available to purchase in my shop. So very excited to have new colours. I hope you like them. 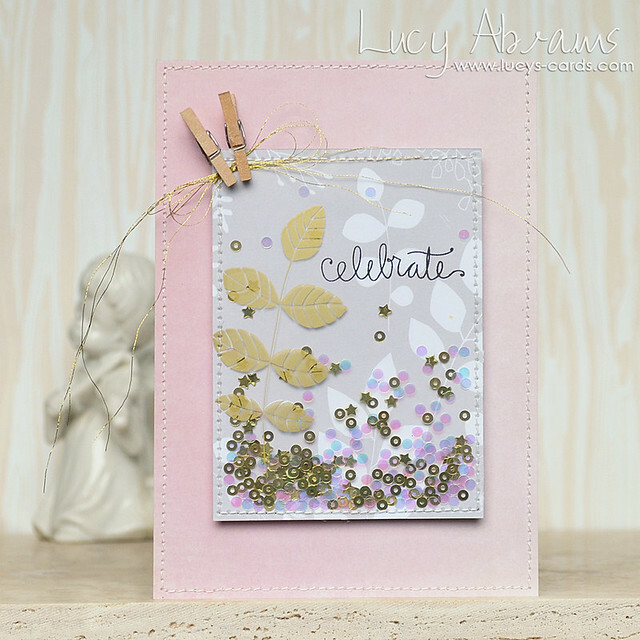 Today I have another card to share with you created with the stunning acetate cards by PinkFresh Studios found in Simon Says Stamp's lovely September Card Kit. I stitched two of them together and left an opening, added some tiny sequins and hearts, then stitched up the gap. 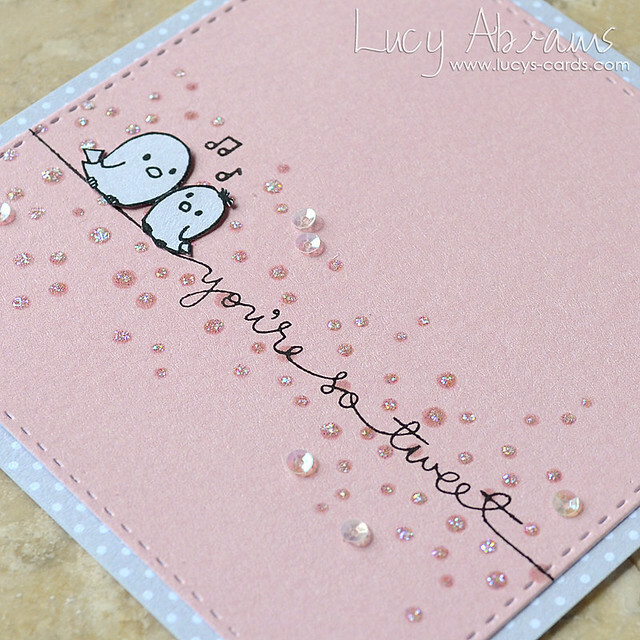 I used Simon's new Painted Enjoy die and some Slate card to create a focal point for the card, then added a little sentiment strip to the side using a message from Happy and Smile. 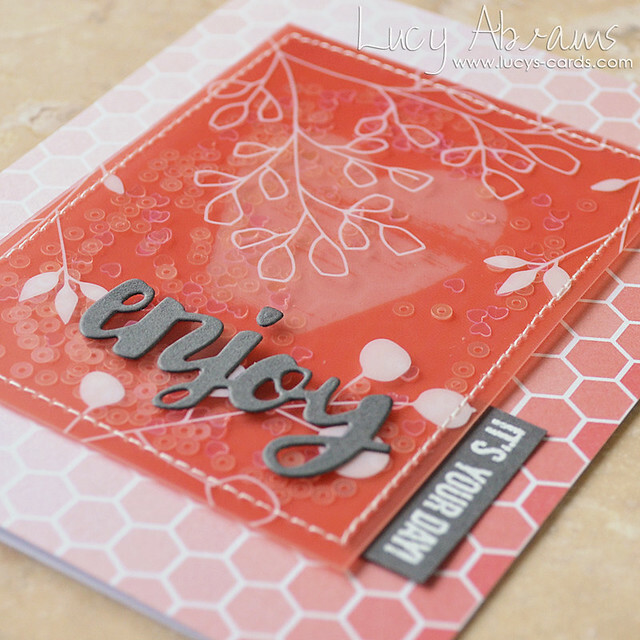 These acetate cards are stunning… such a fab kit this month. Oh, and that background paper is from THIS pad. Love it. Thanks so much for visiting, and thanks to everyone who takes the time to comment. I truly appreciate every kind word!! 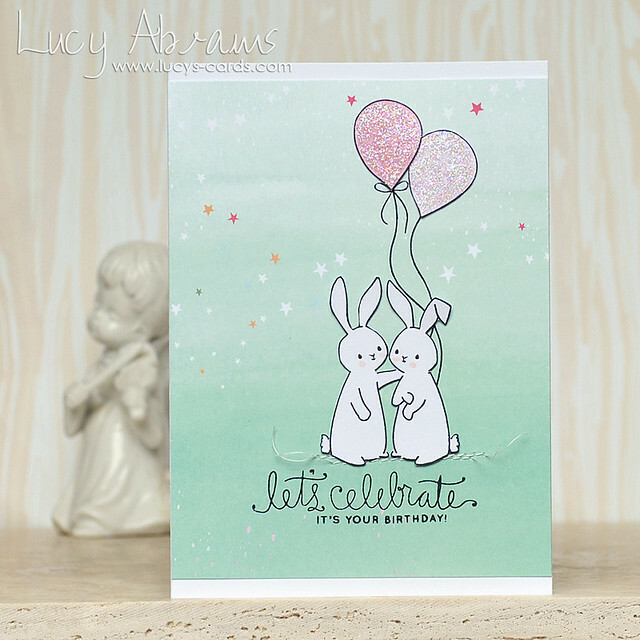 Today I have another Simon Says Stamp September Card Kit card for you - but this time, I threw something else into the mix… a pair of bunnies from WPlus9's adorable new Wishing You stamp set. 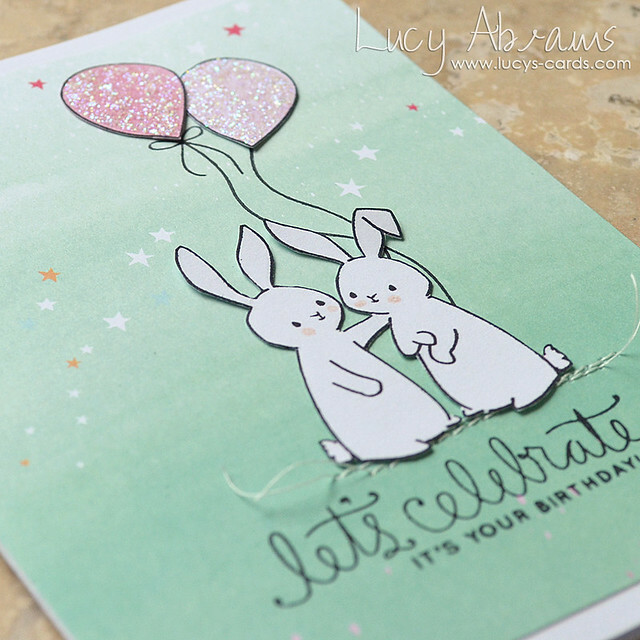 The balloons and 'let's celebrate' sentiment are from the card kit stamp set - Birthday Bits (another very useful set), and the 'it's your birthday' message is from my favourite Happy and Smile set. LOVE this gorgeous PinkFresh Studios patterned paper. Oh, and I added some Star Dust Stickles to my balloons for some sparkle. This, and the stitching, help add a feeling of dimension to this flat card. 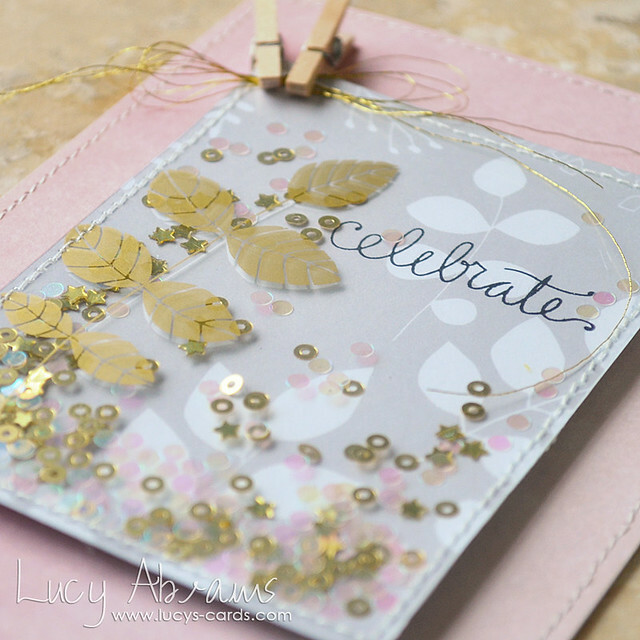 The grey paper in the paper pad matches with this gorgeous gold acetate card, so after stamping the sentiment, I stitched the acetate onto the paper, lining the gold branch over the white one. I left an opening, filled it with sequins and confetti, then stitched it up. A couple of mini clothes pegs and gold thread finished it off. And I adhered it to some pink patterned paper from THIS pad. 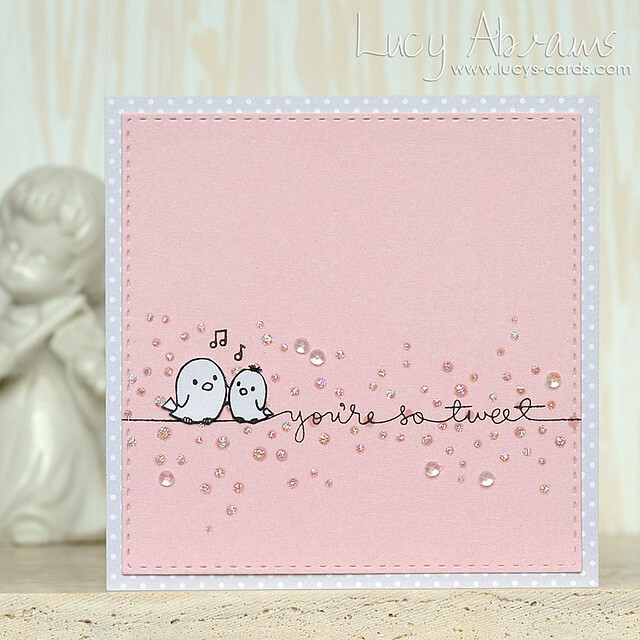 Today I have a tweet little card to share with you created with adorable bird stamps from WPlus9's Happy Mail stamp set (I adore this set!!). I thought it paired perfectly with the 'You're So Tweet' sentiment from Simon Says Stamp's Giving Thanks set. 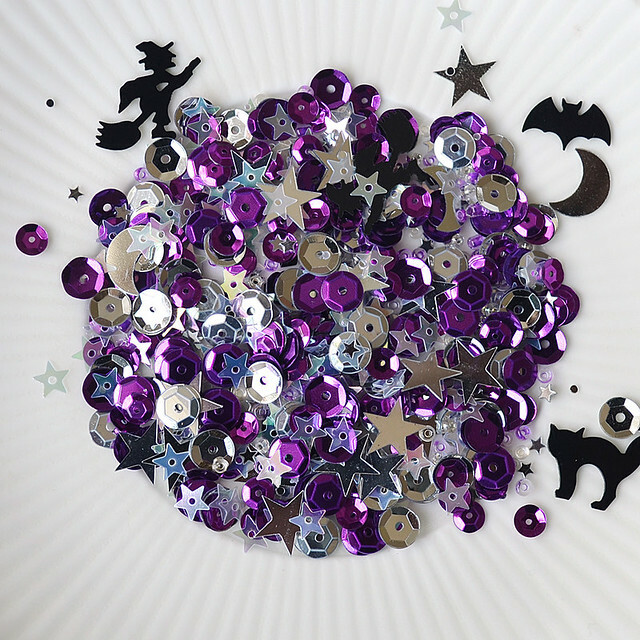 I created a sparkly backdrop for my little birds with Simon's Bokeh Lights stencil. I sponged Rosie Cheeks ink through the stencil, then added droplets of Star Dust Stickles onto each dot. 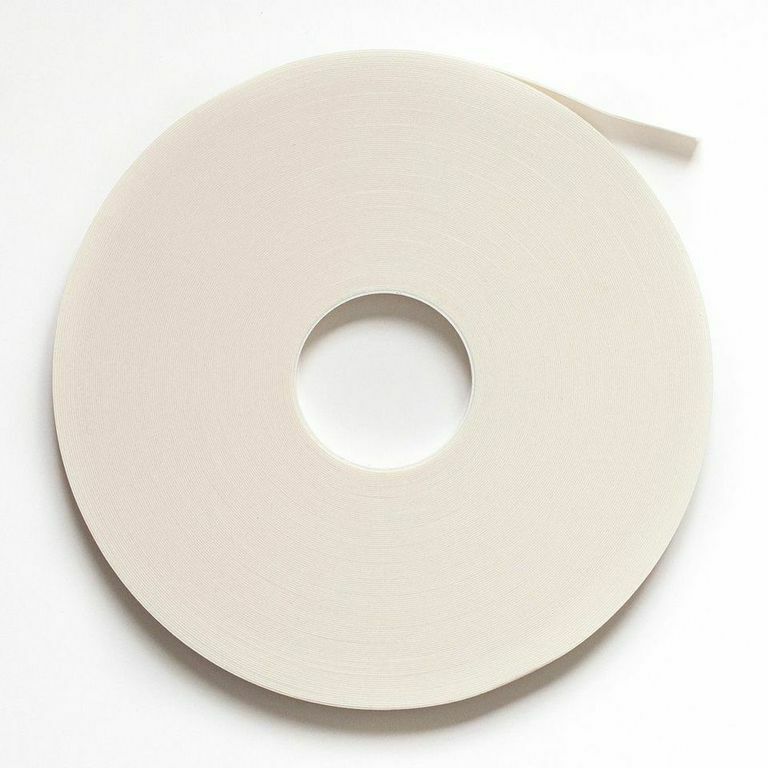 The pink and grey papers are both from American Crafts Southern Weddings pad. 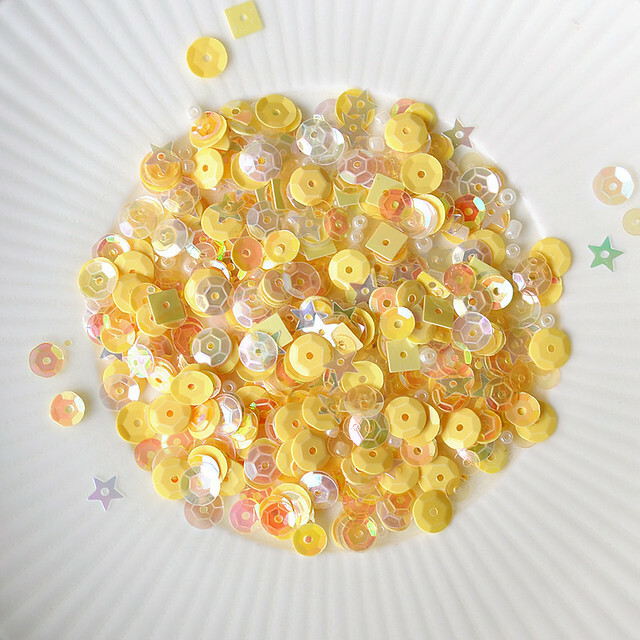 For a touch of extra sparkle, I added some tiny clear sequins from my new Muted Metallics Shaker Selection. Have a fab day, and thanks for visiting. Today I have a shaker card for you created with some cute products. How adorable is this bear stamp from WPlus9's Happy Mail set? For this card, I decided to make him a polar bear, and created a little sunset scene for him with a couple of Simon Says Stamp dies - a Stitched Circle, and one from their Slopes and Hills set. I added some of my Just Peachy Shaker Selection (on its way to SSS as I type or available HERE in my new shop! ), and a sentiment created with stamps from Simon's Sending Happy Thoughts and Sending and Wishing sets. OK - thanks for visiting, and thanks for all the lovely comments about my new shop both here and over at Instagram and Facebook. I really appreciate all your kind words. My new shop… and new colours… and new prices!